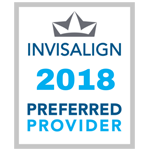 We believe that each finished result not only should include a beautiful smile, but also a healthy set of teeth and gums. We recommend that you save this page to your favorite websites list to revisit hygiene instructions as needed. The video will reinforce the hygiene process. 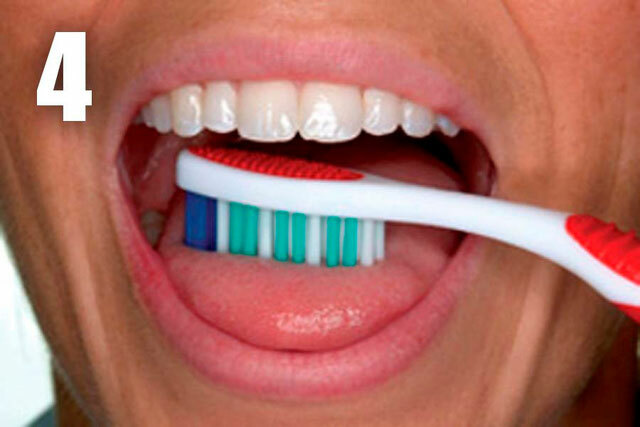 Also, scroll to the bottom of this page to see how not brushing could affect your teeth. It isn’t pretty! It’s not how hard you brush, but the amount of time and technique that matters! 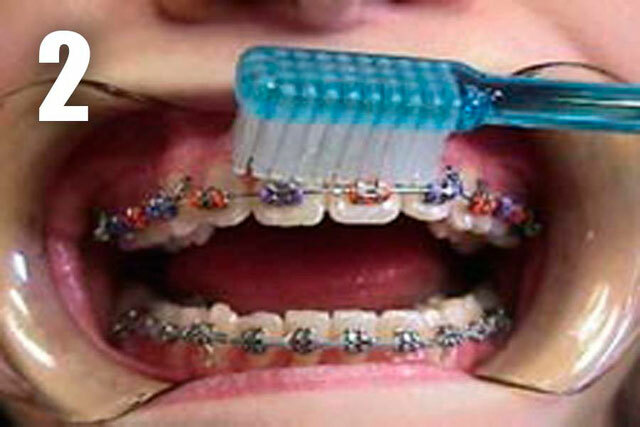 A person without braces should brush for two minutes, but for someone with braces it should be longer. Time yourself on your watch or phone and you’d be surprised how long 2 minutes actually is! 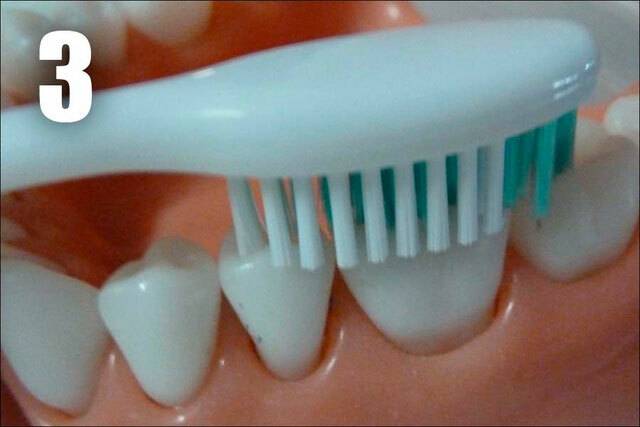 Here’s how to brush more efficiently! 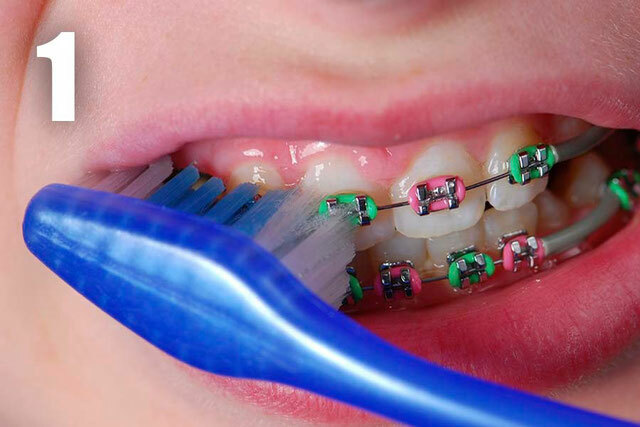 Step 1 Brush gently in a circular motion around each and every one of the braces. Step 2 Then place your tooth brush at a 45 degree angle between your gums and teeth. Brush above (upper teeth) or under (lower teeth) the wire along all the teeth with a sweeping motion from the gums toward the teeth. Brush on the inside surfaces closer to the tongue in the same sweeping motion from the gums toward the teeth. Step 3 Brush the surfaces of the teeth where you chew. Step 4 Lastly, brush your tongue to rid of bad breath! Here’s how to floss more efficiently! Step 1 Using a piece of floss about 18 inches long, carefully thread the end between braces and wire. 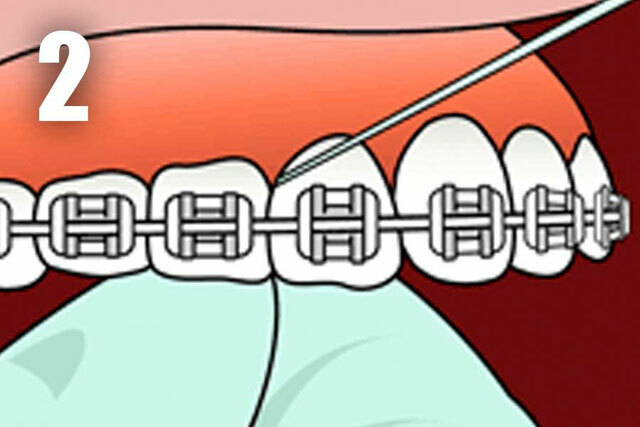 You may find specialized floss or a floss threader helpful. 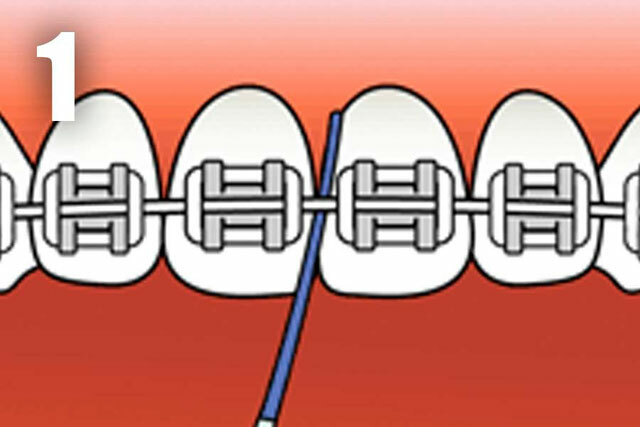 Step 2 Carefully carry the floss around the braces and between the teeth. Floss up and down along one tooth and into the gums and then up and down the neighboring tooth. Repeat step 1 and 2 for every area between teeth. Place the proxybrush in between the needed area and run the brush up and down until debris is removed. Be aware! 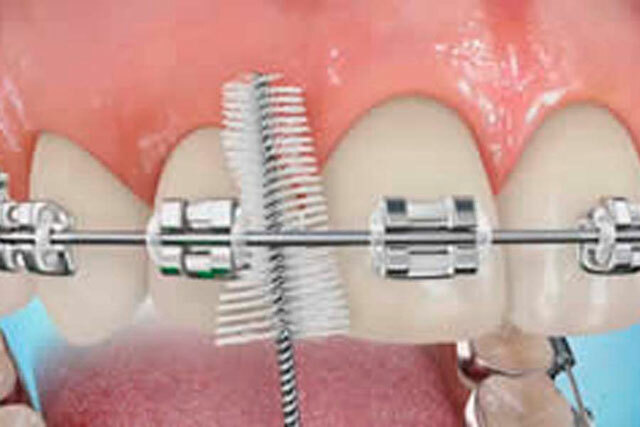 This is what could happen if brushing and flossing are not performed to standard daily. The white areas that you see are the beginning of cavities and are called white spots. These white spots may lessen in their whiteness after hygiene improves, but the majority of them do not go away! This is why we emphasize and encourage good brushing and flossing techniques.